Charles M. “Casey” Sprock, Jr. is a partner with the law firm Baldwin & Sutphen, LLP in Syracuse, New York. His practice focuses on real estate, banking, business formation, estate planning and administration. He is admitted to practice in New York State, U.S. District Court for the Northern District of New York, and the United States Supreme Court.Sprock also serves as an adjunct faculty member at several colleges. His present course offerings include: Sexual Orientation and the Law and Planning for Non-Traditional Families at Syracuse University College of Law; Arts, Entertainment and the Law at the College of Arts and Sciences, Syracuse University, as part of the Janklow Arts Program; Sexuality, Gender and the Law and Political and Social Movements: An Exploration in LGBT Studies at Colgate University; and Business Organizations at University College of Syracuse University. 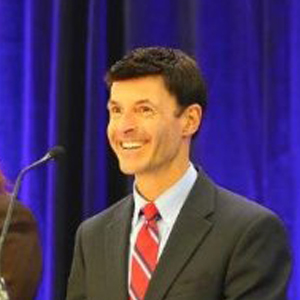 His course designs and teaching methods have earned him several honors including a Meredith Teaching Recognition Award.In addition, he is on the board of United Way of Central New York, chairs the Nominations Committee of the National LGBT Bar Association, and is a past president of the National LGBT Bar Foundation. Sprock holds an A.B., Philosophy with Honors, Political Science Minor, from Colgate University, and a J.D. with a Business and Tax Concentration from Notre Dame Law School.